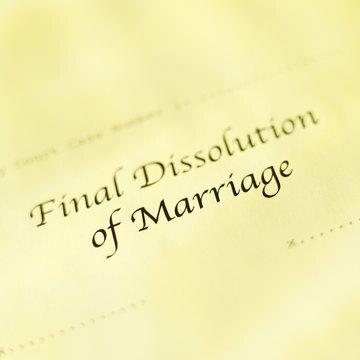 A divorce judgment is a court document, signed by the judge, declaring your marriage dissolved. The document generally also sets out the resolution of property division, support and child custody issues. A copy is mailed to each spouse at the close of a divorce. If you need to establish the existence or terms of your divorce to third parties, you may need a certified copy of the divorce decree or judgment. Generally, this is a copy stamped or marked by the court clerk to indicate that it is a true and correct copy of the document in the court files. You can obtain a certified copy of the actual divorce judgment from the court that issued it. You must prepare a request in the form required in the jurisdiction and pay the required fee. In some states, you can obtain abbreviated divorce records, containing only the names of the spouses, court involved and case number, from the state's Bureau of Vital Statistics.